On the road with an ATF agent Jump to media player A special agent for the Bureau of Alcohol, Tobacco, Firearms and Explosives explains the challenges his bureau faces in tracking people who smuggle guns from the US to Mexico. 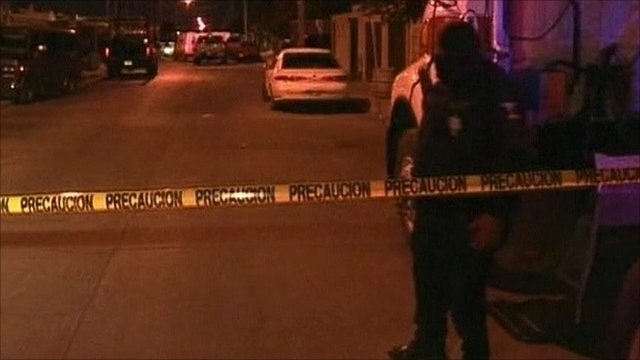 Mexico gunmen kill 13 at party Jump to media player Gunmen have shot dead at least 13 young people at a birthday party in Mexico. 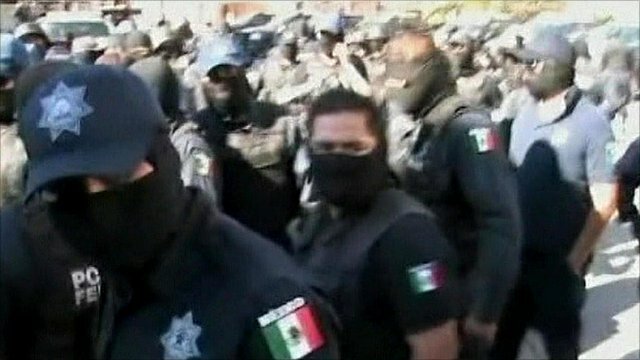 Mexican police commander held 'at gunpoint' Jump to media player Police officers in the Mexican city of Juarez have detained their commander at gunpoint. The drug wars in Mexico reached another grim milestone this week, as the number of murders in the border city of Juarez passed 3,000 for this year. The Obama administration has decribed the violent cross-border drugs trade as "the greatest organised crime threat to the United States". Research shows most of the guns used by the Mexican cartels originate in the US, where firearms laws are more relaxed. 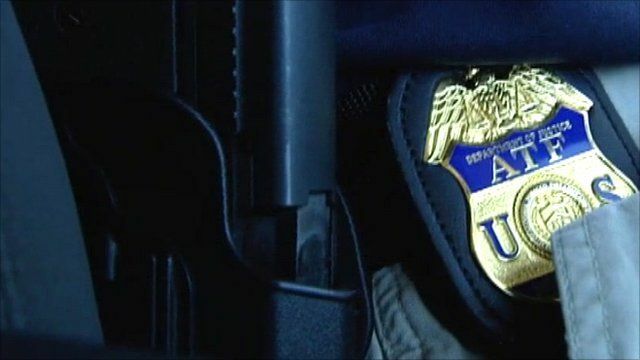 A special agent for the Bureau of Alcohol, Tobacco, Firearms and Explosives explains the challenges his bureau faces in tracking people who smuggle guns from the US to Mexico. He took BBC News on a tour of the suburbs of Houston, Texas, from where arms buyers for the drugs cartels in Mexico - or "straw purchasers" - work. The agent's identity is concealed for his protection.